What is Quality Migration Admission Scheme? Hong Kong immigration is becoming a popular option by the day because of the employment and business opportunities it presents for immigrants. Those who have considered Hong Kong migration must always have wondered about what is Quality Migration Admission Scheme? Quality Migration Admission Scheme (QMAS) picks out fresh and talented entrepreneurs looking to open a start-up or skilled professionals seeking a better employment opportunity. The candidates also get to bring their family into the city after settling base once their immigration application is chose for approval. The basic eligibility criteria consists of points like –should be above 18 years of age, should be able to support himself financially, must not have a criminal record, must be proficient in English or Chinese, must be duly qualified with a post-graduate degree for more advantage. Maximum points for QMAS are 165 out of which passing are 80. Applicants those who meet these criterions should also pass the points-based test system wherein marks/points are awarded for various aspects like age, qualifications, experience etc. Those who have won significant accolades in their field of work can also gain extra points under the Achievement based point test. The application process for the QMAS consists of 3 steps which are: Selection of Applicants, Approval-in-principle and Issuance of entry visa. Immigration process is fulfilled once these three steps are complete. To know more about the Quality Migration Admission Scheme one can log on to the official website of Hong Kong immigration. 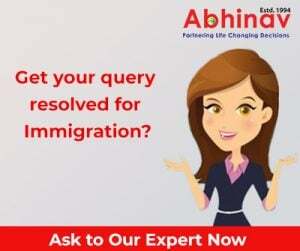 Better still, one can seek the services of a professional immigration consultant who can guide an applicant thoroughly once he/she has give full and updated information on QMAS. Quality Migration Admission Scheme is a professional as well as an entrepreneur’s gateway to a future in the land of opportunity called Hong Kong.